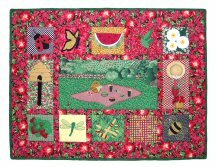 Quilt Size: 36" x 27"
Strawberry Picnic is a Sew Simple Sampler™ pattern. 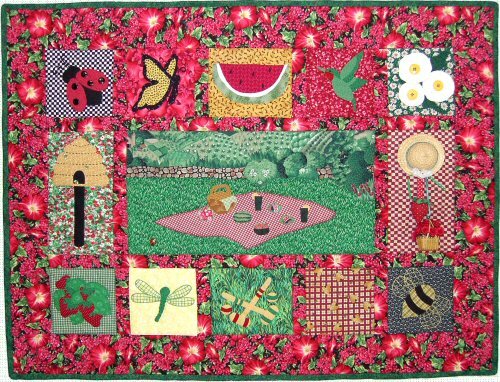 The techniques include Fusible Appliqué, Decorative Stitching and Machine Piecing; along with a fun 3-D block and embellishments. Fat quarters of Novelty Print fabrics (scenery, grass, and anything with strawberries, bees, etc.